In addition to the non-stop parade of delicious dishes on her blog at The Pioneer Woman Cooks, and her sister site at Tasty Kitchen, she also has a cook book out titled, The Pioneer Woman Cooks and a new children's title, Charlie The Ranch Dog. 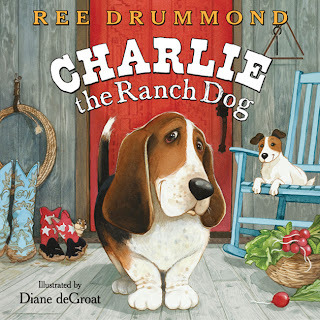 It's a sweet little story about Charlie's life on the ranch. Seriously, is there anything this woman doesn't do??? I didn't realize she was quite that diversified.Holy cow! I love her site! Apparently my husband does too...lol. I was using his computer one day and noticed her site was bookmarked on his recipes folder. When I asked him about it, I found out that his delicious pancake recipe came from her site!